This tutorial was written by me on 23 December 2011. Any similarities to other tutorials is purely coincidental. 2 tubes of choice. I am using the amazing artwork of Jennifer Janesko. I purchased these when CILM was still open. You can now purchase the appropriate license at CDO. Scrap kit. 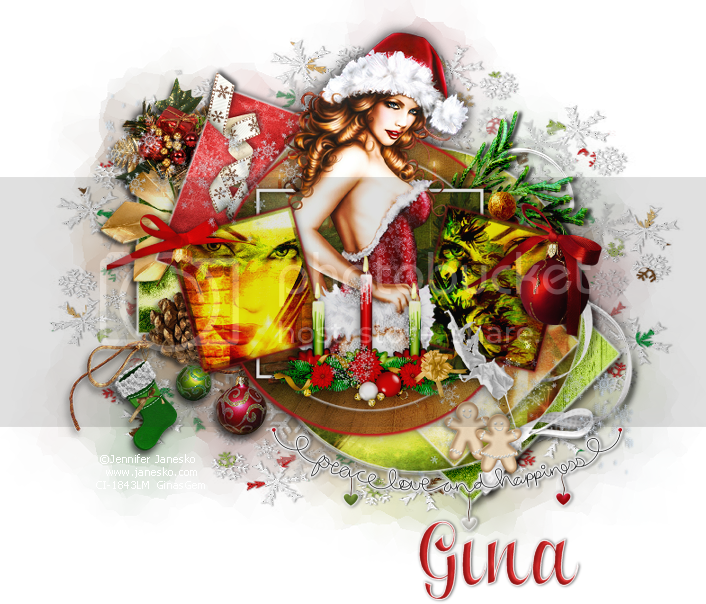 I am using Christmas Traditions designed by me. You can purchase it at any here, here, here, here, here, here, here, here, or here. Template 200 made by me. You can grab it here. Mask 434 by Vix. You can grab this mask, plus lots others at her site here (under goodies). Thank you, Vix! Font of choice. I used Clipper Script, which can be found here. Ok! Let's get started. Open up the template. Duplicate by holding down Shift + D. Close the original. Give the layer a drop shadow of H and V 4, Opacity 40, Blur 12.00. Delete the template Angled Green Square layer. Highlight the Green Square layer. Select, float and defloat. Open up a paper from the kit. (I used paper 22) Resize by about 40%, bicubic. Add a new layer to your working image. Paste into selection. Deselect. Apply Gradient Glow to the paper layer, same settings you just used. Give the layer a drop shadow of H and V -4, Opacity 40, Blur 12.00. Delete the template green square layer. Highlight the Angled Red Square layer. Select, float and defloat. Open up a paper from the kit. (I used paper 2) Resize by about 50%, bicubic. Copy and paste the paper as a new layer onto your canvas. Position the paper to your liking within the selection. Selections > invert. Hit delete on your keyboard. Deselect. Apply Gradient Glow, same settings. Give the layer a drop shadow of H and V -3, Opacity 40, Blur 10.00. Delete the template angled red square layer. Highlight the Angled Gray Square 1 layer. Select, float and defloat. Open up another paper from the kit. (I used paper 2) Resize by about 40%, bicubic. Copy and paste as a new layer onto your canvas. Position it to your liking within the selection. Selections > invert. Hit delete and deselect. Apply Gradient Glow, same settings. Give the layer a drop shadow of H and V -2, Opacity 40, Blur 8.00. Delete the template angled gray square 1 layer. Highlight the Large Circle layer. Select, float and defloat. Open up a paper from the kit. (I used paper 29) Resize by about 55%, bicubic. Add a new raster layer to your working image. Paste the paper into the selection of the new layer. Deselect. Apply Gradient Glow, same settings. Give the layer a drop shadow of H and V 0, Opacity 50, Blur 16.00. Delete the template large circle layer. Highlight the Angled Gray Square 2 layer. Select, float and defloat. Open up another paper from the kit. (I used paper 24) Resize by about 45%, bicubic. Copy and paste as a new layer onto your canvas. Position the paper to your liking within the selection. Selections . Invert. Hit delete on your keyboard. Deselect. Apply Gradient Glow, same settings. Give the layer a drop shadow of H and V -3, Opacity 40, Blur 8.00. Delete the template angled gray square 2 layer. Give the layer a drop shadow of H and V 0, Opacity 50, Blur 13.00. Delete the template Medium Circle layer. Give the layer a drop shadow of H and V 0, Opacity 45, Blur 10.00. Delete the template small circle layer. Highlight the White frame layer. Give it a drop shadow of H 2, V 0, Opacity 50, blur 4.00. Give the layer a drop shadow of H and V 0, Opacity 45, Blur 8.00. Highlight your Small Green Square 2 layer. Select, float and defloat. Unhide and highlight your other paper layer. Selections > invert. Hit delete on your keyboard. Apply Gradient Glow, same settings you just used. Give it a drop shadow, H and V 0, opacity 45, Blur 8.00. Delete both small green square layers. 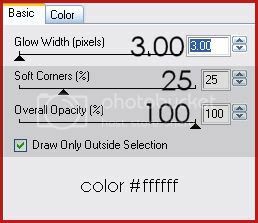 Highlight your white square 1 layer. Select, float and defloat. 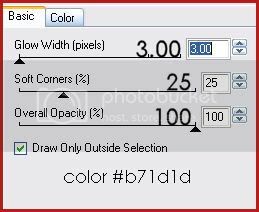 Highlight the paper layer beneath your selected white square. Right click on the paper layer, and choose Promote Selection to Layer. Don't deselect yet. Deselect. 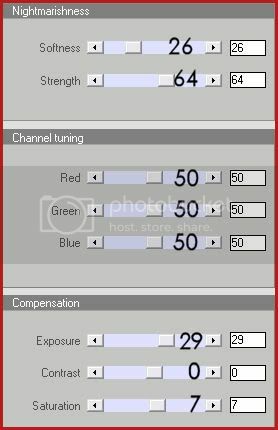 Change the blend mode of the tube to Overlay. Highlight the paper layer beneath the tube layer and give it a drop shadow of H and V 0, Opacity 45, Blur 6.00. Duplicate the paper layer. Go to image > mirror. Repeat with the tube layer. Delete both white square layers. 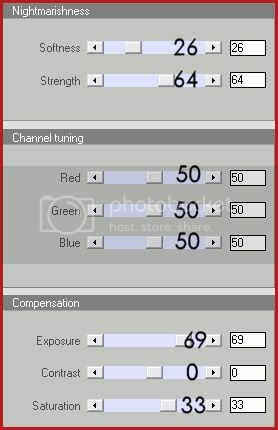 Go to adjust > sharpness > unsharp mask. Apply with a radius of 5, strength 15, clipping 4. Give your tube a drop shadow of H and V 0, Opacity 65, Blur 17.00. Open up bow 4 from the kit. Resize by 70%, bicubic. Copy and paste as a new layer onto your canvas. Go to image > mirror. Then, image > flip. Position it to your liking on the Large Circle layer. Give it a drop shadow of H and V 4, Opacity 40, Blur 6.00. Position the branch to your liking on the medium circle layer. Give it a drop shadow of H and V 3, Opacity 35, Blur 6.00. Open up the Ornament Cluster from the kit. Resize by 35%, smartsize. 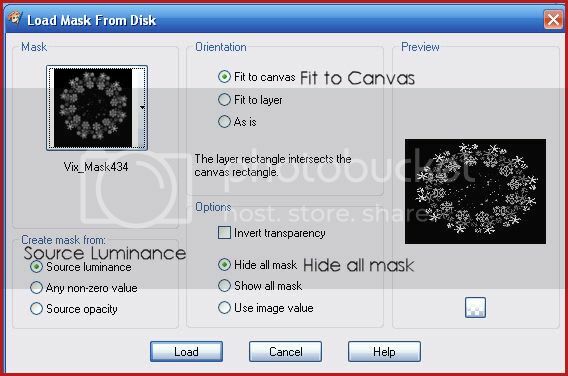 Copy and paste as a new layer onto your canvas. Apply Xero Bad Dream XL, same settings you just used. 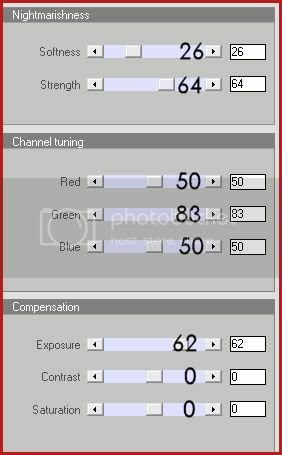 Apply unsharp mask, same settings. Position it to your liking above your green square layer. Give it a drop shadow of H and V -3, Opacity 35, Blur 6.00. 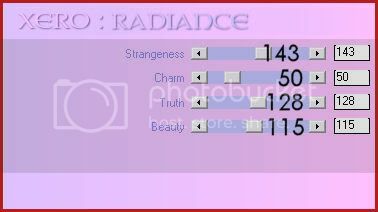 Apply unsharp mask, same settings. Position it below your ornament cluster. Give it a drop shadow of H -3, V 3, Opacity 40, Blur 6.00. Open up Ribbon 2 from the kit. Resize by 35%, smartsize. Apply unsharp mask, same settings. Copy and paste as a new layer onto your canvas. Position it to your liking on the angled red square layer. Give it a drop shadow of H -2, V 0, Opacity 40, Blur 5.00. Open up Pine Cone 1 from the kit. Resize by 20%, smartsize. Copy and paste as a new layer onto your canvas. Position it to your liking behind small green square 2 layer. Give it a drop shadow of H and V 2, Opacity 35, Blur 5.00. Open up Bow 2 from the kit. Resize by 35%, smartsize. Apply unsharp mask. Copy and paste as a new layer onto your canvas. Position it to your liking at the upper left corner of your left white square layer. Give it a drop shadow of H 3, V 0, Opacity 40, Blur 5.00. Open up the Bauble with Ribbon from the kit. Resize by 35%, smartsize. Apply unsharp mask. Copy and paste as a new layer onto your canvas. Position it opposite your bow 2 layer. 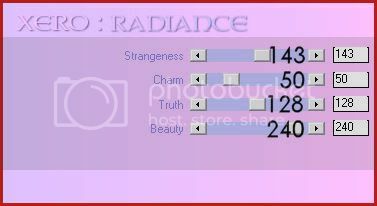 Apply unsharp mask, same settings. Give it a drop shadow of H and V 2, Opacity 40, Blur 8.00. Open up the leaf from the kit. Resize by 35%, smartsize. Copy and paste as a new layer onto your canvas. Position it next to the Candles. Give it a drop shadow of H -2, V 0, Opacity 35, Blur 5.00. Open up the Baubles String Deco 3 from the kit. Resize by 75%, bicubic. Copy and paste as a new layer onto your canvas. Position beneath all your layers as in my tag above. Give it a drop shadow of H 0, V -2, Opacity 45, Blur 4.00. Open up the Stocking Ornament from the kit. Resize by 30%, smartsize. Apply unsharp mask. Copy and paste as a new layer onto your canvas. Position as in my tag above. Give it a drop shadow of H 0, V-2, Opacity 35, Blur 4.00. Highlight your top layer. Open up snowflake brush 2 from the kit. Resize by 30%, smartsize. Copy and paste as a new layer onto your canvas. Give it a drop shadow of H 1, V 0, Opacity 45, Blur 2.00. Position it at the upper left of your tag. Duplicate. Go to image > mirror. Then, image > flip. Position it to your liking. Give it a drop shadow of H 2, V 0, Opacity 40, Blur 3.00. Lower the opacity of the layer to about 60. Give the mask layer a drop shadow of H 1, V 0, Opacity 50, Blur 3.00. Crop and resize to your liking. Add your copyright info, watermark and text. Save as PNG.